Eric Weddle questioned idea of Marlon Humphrey as an elite CB: "He has too many lapses in a game, and he knows it. I wouldn’t put him up there yet. He needs to be out there and play at a high level for the entire game, for a whole season. I love him. I think he can get there." Lamar Jackson was asked whether he's liked his role in the Ravens offense. "It's been pretty cool. I'm on the field, so, yeah. I'd rather be out there than just sitting down." Then he was asked how much cooler it would be to start. "It'd be awesome." Ravens QB Joe Flacco was not present for the open portion of practice today. But to be fair, it was cold. Tackle James Hurst (back) and safety Tony Jefferson (hamstring) were the only other Ravens absent. Otherwise solid attendance on a day the Ravens usually give off to some veterans. Joe Flacco could use some help from his receivers, too. 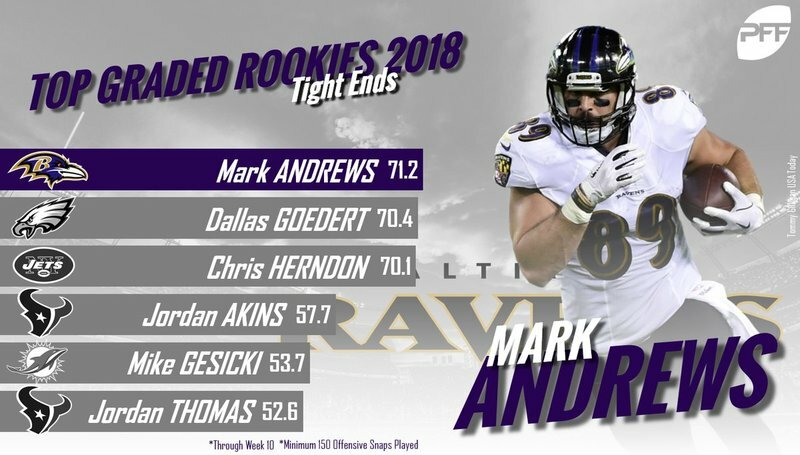 Coach John Harbaugh: “I think he understands it, it’s his goal, and when he’s in there, we’re complete in the secondary, and he makes us pretty strong back there." Free safety Eric Weddle: “He just needs to focus on every play. He has too many lapses in a game, and he knows it." QB Joe Flacco (right hip), T James Hurst (back) and S Tony Jefferson (thigh) missed Ravens practice today, per injury report. OT Ronnie Stanley (ankle) and OLB Tim Williams (ankle) were limited. Seven Bengals didn't practice, including WR A.J. Green and CB Dre Kirkpatrick. Ravens offensive coordinator Marty Mornhinweg not offering any clues as to who might start at QB if Joe Flacco cannot. 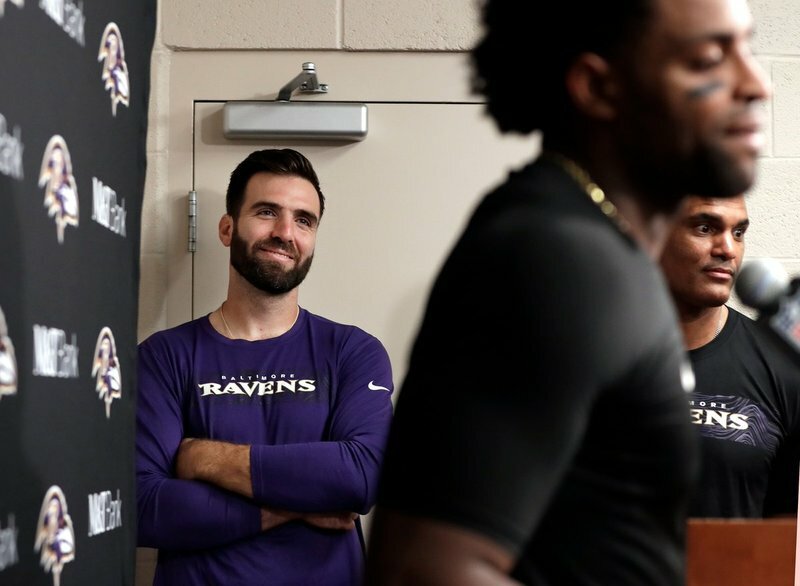 Ravens QB Joe Flacco was in the locker room today. Didn’t appear to be limping. Ravens OC Marty Mornhinweg is confident in Joe Flacco's readiness for Sunday, even if he doesn't practice: "He's got experience, he's a smart guy, he knows how to prepare, all of those things. ... I don't see any reason why he wouldn't play really well without any practice." Ravens QB Lamar Jackson was not present for the open portion of practice today. Nor was Joe Flacco (hip). Robert Griffin III took all the reps under center. Ravens announce Lamar Jackson missed practice Thursday because of an illness. QB Joe Flacco (hip), OT James Hurst (back) and DB/LB Anthony Levine Sr. (ankle) also were out. S Tony Jefferson (thigh), OT Ronnie Stanley (ankle) and OLB Tim Williams (ankle) were limited. Lamar Jackson: back at practice. Joe Flacco (hip) was also absent today, along with OT James Hurst (back), CB Jimmy Smith, OLB Terrell Suggs and OLB Tim Williams (ankle). Kenneth Dixon practiced Friday, so he and Maurice Canady are the Ravens' two IR return designees. That means no Willie Henry at the end of the season. With CB Maurice Canady and now RB Kenneth Dixon designated to return, the Ravens cannot recall anyone else from IR. DT Willie Henry (back), who could've returned in Week 17, is done for the year. Ravens coach John Harbaugh says Lamar Jackson practiced fully today. But he declines to name a starter. Ravens cornerback Maurice Canady won’t play Sunday despite returning to practice this week, John Harbaugh says. Lamar Jackson had to head to a meeting, but offered this to reporters as he left the Ravens locker room: “I’m good.” Said it three times. #Bengals make correction to injury report. A.J. Green is doubtful. Not out. “The one thing that excited us is that we knew they could step in as performers for us,” @Towson_MBB coach Pat Skerry said of the four transfers. “If we’re going to be good early, you’re going to lean a little bit more on those veteran guys." “It’s very sad, and all week, I’ve been praying for the families,” said OL Hroniss Grasu, who grew up in the L.A. suburb of Northridge. "It’s scary because my stepmom still lives over there, my stepfather, my little brother,” said CB Robertson Daniel, who hails from San Jose. Ravens announce quarterback Joe Flacco (right hip) is DOUBTFUL to play vs. Cincinnati. OT James Hurst (back) will miss his fourth straight game, even after the bye week. S Tony Jefferson (thigh), OT Ronnie Stanley (ankle), OLB Tim Williams (ankle) and CB Tavon Young (ankle) are questionable. Young was a full participant in every practice this week. Ravens also announce OLB Tim Williams (ankle) is out for Sunday's game. He last played in Week 8.